Seed Library table during seed exchange at the Loft screening of "Seed." 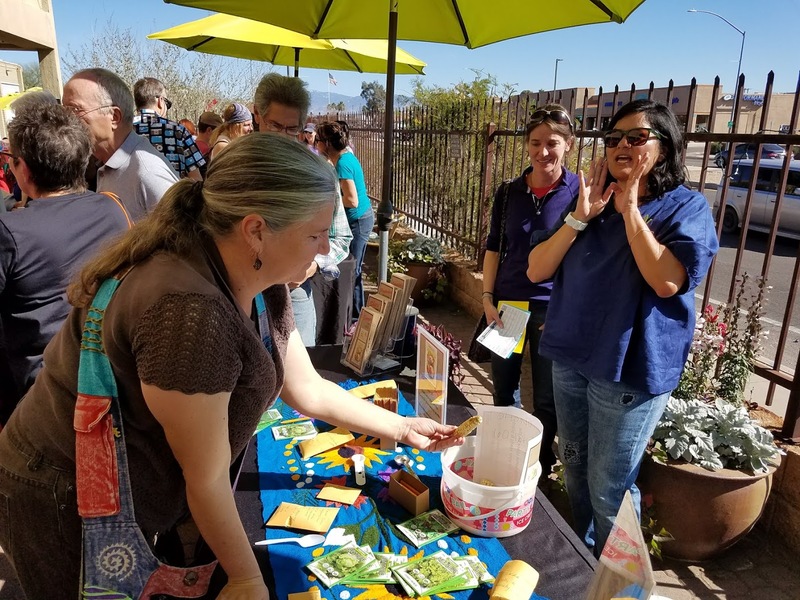 What distinguishes Tucson as a UNESCO City of Gastronomy is that we are a model for seed libraries with our world renown Native Seeds Search and Seed Library of Pima County Public Library. 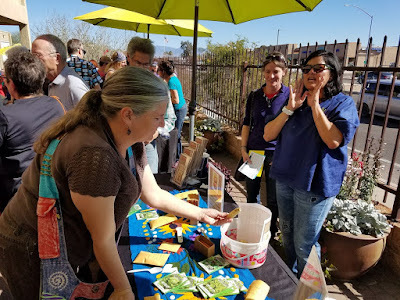 The purpose of these seed libraries is to maintain a wide diversity of seeds to combat Monsanto's monopoly on seeds that threatens our food supply. Then why on earth would the Pima Country Board of Supervisors allow Monsanto to have a greenhouse to experiment with GMOs here in Tucson? Isn't that the antithesis of what Tucson stands for? Why would we use our tax dollars to incentivize them? The people who represent us, the Pima Country Board of Supervisors, are currently holding hearings on Monsanto. 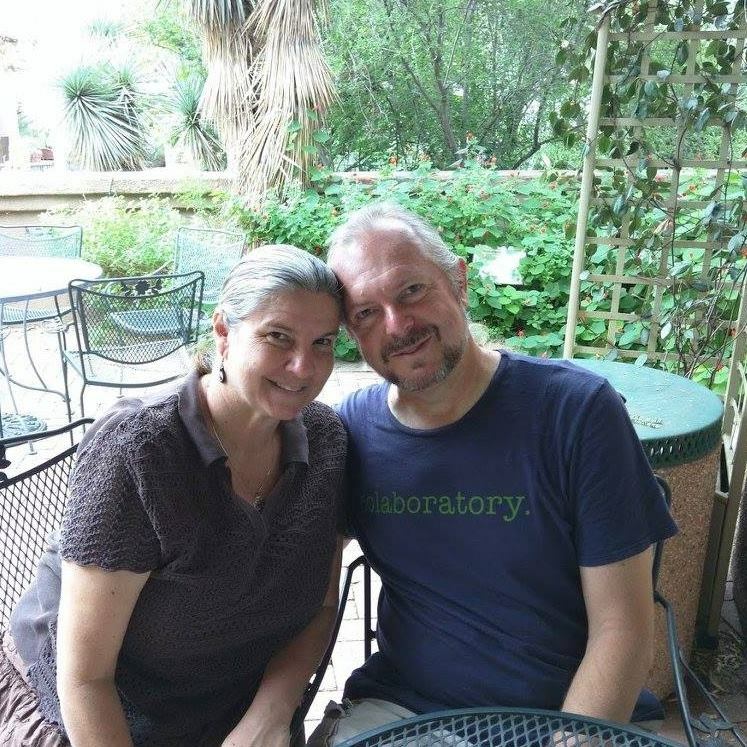 For more information, read, "Monsanto to grow greenhouse crops in Tucson area."